Located in Western region of India, what may seem as a small town of a lite population of about 36,000 thousand people, Shirdi, is regarded amongst most popular pilgrimage centers in India. Shirdi is popular as the home of 19th century Guru Shirdi Sai Baba. Shirdi in Tamil language literally means ‘The Foot of Prosperity’. 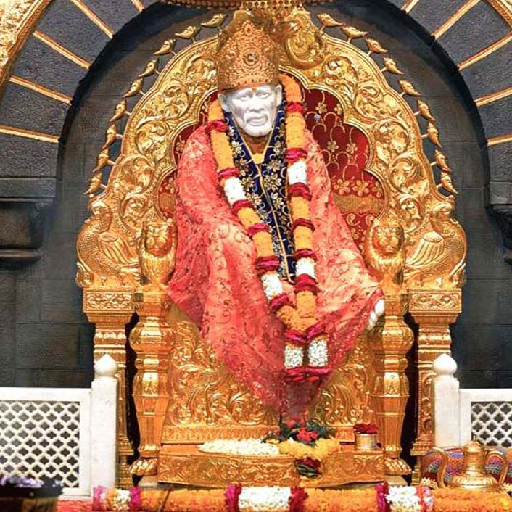 There are some best places to visit in Shirdi for sightseeing & attraction. Believed to be an incarnation of God by his lakhs of devotees, Shirdi Sai Baba or Sai Baba is perhaps one of the most famous spiritual saints in India. According to Sai Satcharitra, the famous biography of Sai Baba, He is believed to have appeared in the village of Shirdi at an age of about 16 years. His ascetic life, spending most of his time meditating, left the villagers and passerby in wonder. He is said to have left the village for an year, only to return back in his famous clothing appearance consisting of a Long Robe touching his Knees and a cap made of simple cloth. He often housed himself under a neem tree and had long walks in the nearby jungles. At the request of villagers, he later accepted resident in a nearby old mosque. Often visited by number of visitors from all walks of life, he offered them Sacred Ashes. These ashes were believed to have healing powers. Being a pilgrimage center, it has a large floating population of around 60,000 tourists on any given day. These numbers are said to get bigger at weekends and may rise to 1,00,000 during auspicious festive days. The famous temple is one of the richest temple organizations in India. Among other attractions is the Famous residence of Sai Baba, the Dwarkamai Masjid and Baba’s Chavdi, another location of Baba’s residence. The city also hosts a fully functional Water-Park, which is famous for its large wave pools. Accommodation is not a problem, as Shirdi hosts a large number of Hotels which can be booked by Frotels on hourly as well as full day basis. Frotels offers best hotels at every budget at amazing prices. Shirdi is approximately 296 km from Maharashtra’s capital Mumbai While Ahmednagar and Nashik are the closest cities to Shirdi. Shirdi also has a Railway Station and a soon to be operational Airport.